Jaffe is pleased to announce that it received a 2016 WebAward for "Legal Standard of Excellence" for its redesign of the Katz, Marshall & Banks website. The New York Law Journal recently released its annual "Reader Rankings," in which journal readers were asked to rank their favorite businesses across more than 60 categories. Jaffe is pleased to announce it came in first place across four categories: "Best Law Firm Advertising Agency," "Best Law Firm Marketing Consultant," "Best Lawyer/Law Firm Business Development Coaching" and "Best Law Firm Public Relations Agency." Terry M. Isner, President Marketing and Business Development, will be joining with the chief marketing officer of Freeborn & Peters LLP, Ian Turvill, to deliver a presentation to the Legal Marketing Association Philadelphia Chapter on Sept. 15. The Recorder, an ALM publication focusing on California's legal market, recently released the results of its "Best of 2016" survey. Jaffe is pleased to announce that it ranked as a winner in the category "Best Public Relations Agency." The annual survey polls readers of the publication for their opinions on the best service providers in the legal marketplace across a number of different areas. Vivian Hood, President of Public Relations, participated in a panel discussion at a recent Legal Marketing Association (LMA) event hosted by the organization's Atlanta City Group. 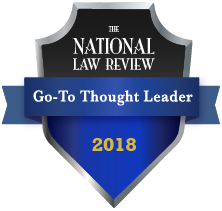 The National Law Journal recently released the results of its "Best of the Midwest" survey. The survey polls readers to find out which legal service providers they consider the best in their region. Carlos Arcos, Senior Vice President of PR, recently authored an article for the National Law Review on the importance of having a data breach response plan. Corporate Counsel, the national magazine devoted to the in-house bar, recently held their inaugural Best of Corporate Counsel survey.